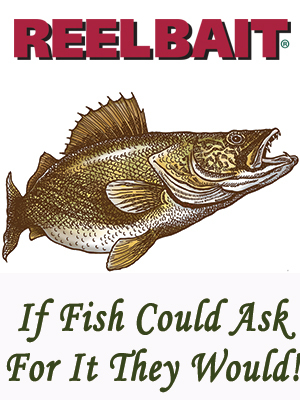 ReelBait ® continues to bring to you innovative tackle for your personal, professional and recreational fishing pursuits that will keep you competitive, in contention and at the top of your fishing game. Whether your favorites are the Original Back Bead Spinner Rigs, Flasher Jigs, Lytle's Secrets, Fergie Special or Plane Jane Jiggin spoons we continue to provide quality " " products for your enjoyment. We thank you for your continued patronage of our products and look forward to assisting your continued success with ReelBait ® fishing lures. "Please continue to support Catch and Release and if you do keep fish, please practice Selective Harvest"
From all of the ReelBait family across North America, "We hope to see you on the water soon"!